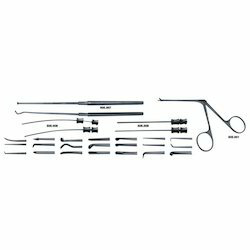 Leading Manufacturer of sinoscope instrument, otoscope instruments, bronchoscope instrument and laryngoscope from New Delhi. To cater to the demands of our client’s consideration, we are highly engrossed in manufacturing, exporting and supplying Sinoscope Instrument. 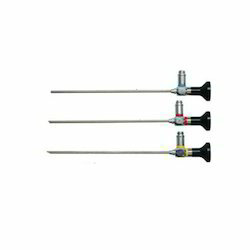 The given sinoscope is provided in number of customized options to choose from. This sinoscope is developed using high quality material & leading techniques in accordance with industry standard. In addition, the sinoscope offered by us is passed through a series of practical tests so as to supply a defect free range. Owing to our sincere business standards and transparent deals, we are steadily making our way to the platform of success by offering Otoscope Instruments. Our offered otoscope instruments are acclaimed in the market for its user friendly nature. 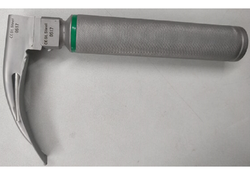 These otoscope instruments are examined on numerous parameters for supplying an excellent range. Provided otoscope instruments are manufactured with better quality basic material under the direction of accomplished professionals. Offered otoscope instruments are accessible in different stipulations to meet the exact requirements of the clientele. 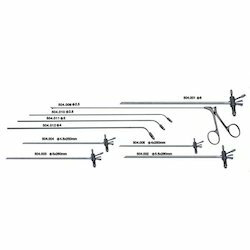 Our company is the major in offering Bronchoscope Instrument to the clients. This product is manufactured by using quality tested basic material and pioneering methods under the guidance of expert professionals at well developed production unit. Offered range can be customized as per customer’s specifications and availed at different version. Bronchoscope Instrument is stringently tested by quality analyzers on various parameters to make sure flawlessness and defect free delivery. This product is broadly appreciated amongst the esteemed customers. Looking for E.N.T Instrument ?